Your knight in shining armour. 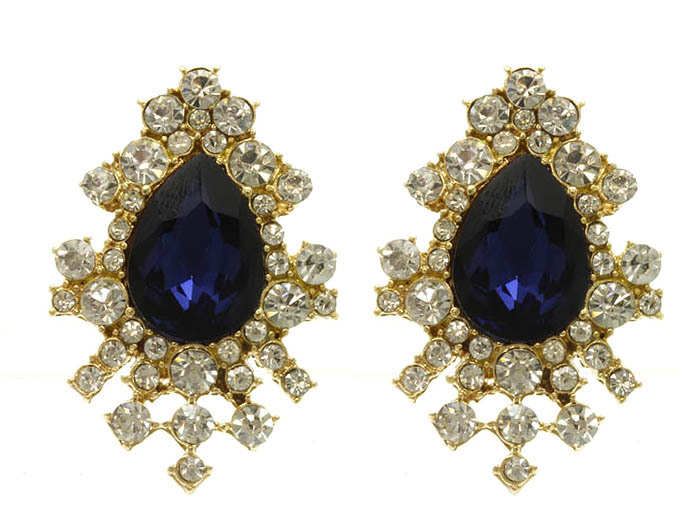 The Abigail post earrings are for serious evening affairs, adding an element of darkly glamourous mystique to your look. Showcasing a midnight topaz-hued crystal feature, honoured by a cast gold stimulant design littered with sparkling rhinestones. Wear with poise and an upswept do for full effect. Oz Bling brings you great quality and low priced cheap jewellery online.